Really, really cool story, Gary. I'll never look at that little building in quite the same way. 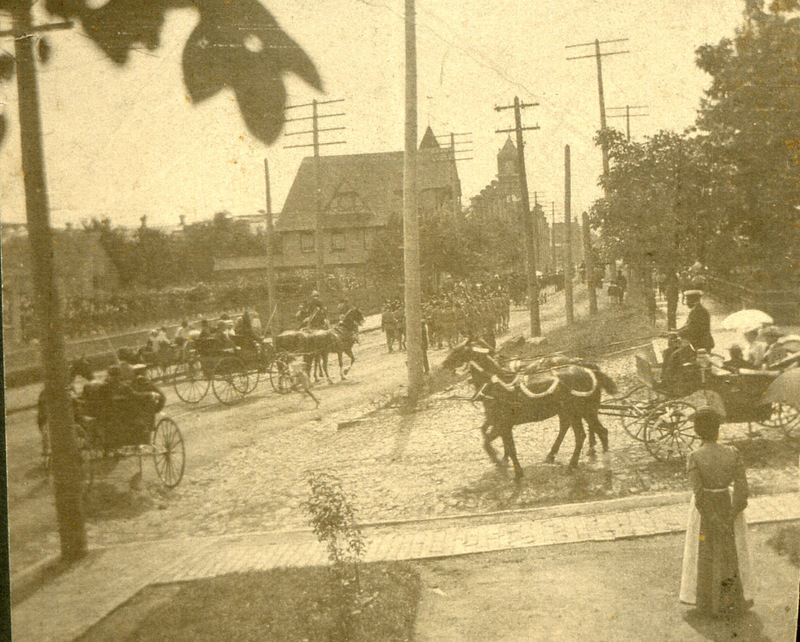 Looking northeast from Duke and Main Sts., 1890s. The tower of the Fire Station #2 is visible along West Main St. The block currently encircled by North Duke, West Main, Morgan, and Fuller Sts. originally held what appears to have been a tobacco field and wood frame structures of the early Duke plant. With the construction/expansion of the brick warehouses, these structures were cleared, and the block became a park of sorts. Although I haven't seen an official name for this park, it was frequented by Liggett employees. 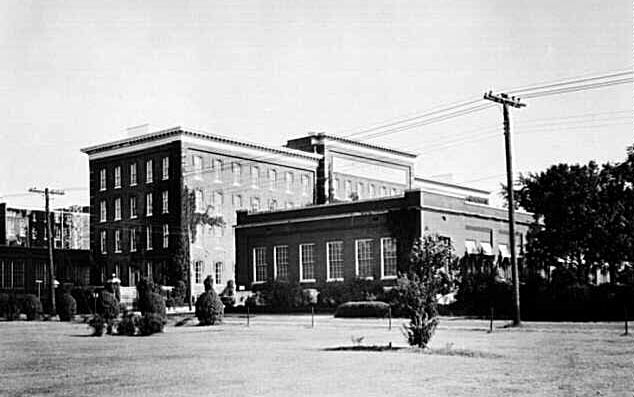 After Fairview, Washington Duke's home, was demolished in the late 1910s, Liggett built an office building on a portion of that site (on the south side of West Main Street) adjacent to the (old) cigarette factory. Looking northwest, 1920s. The roof of the office building is barely visible to the left - The park area on the north side of the street is visible between the businesses on the west side of North Duke St. and the Liggett buildings. Looking north across West Main St. from the south side of the street towards the Toms and Hicks warehouses. 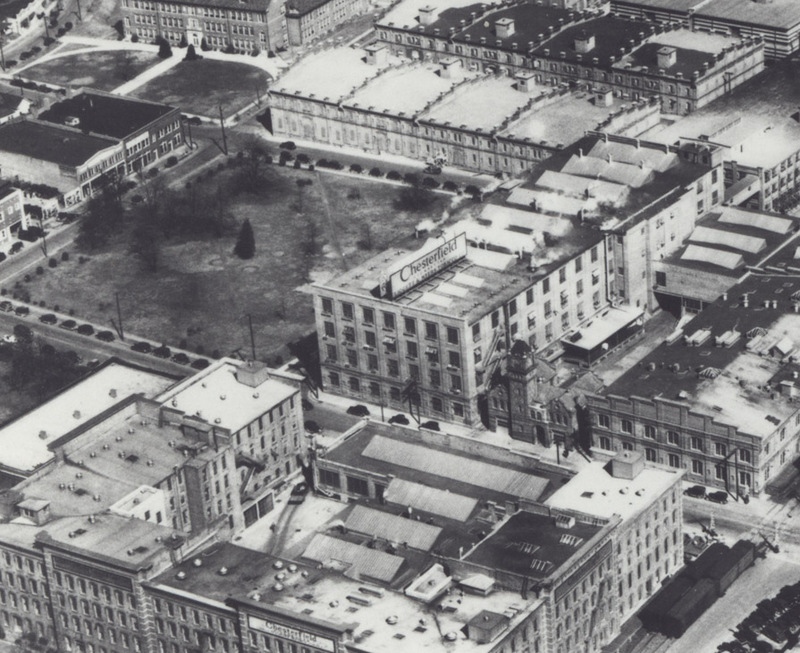 It remained this way until 1946 - when the Liggett office building was moved to the north side of the street to make way for the New Cigarette Factory. Whether it was done for publicity or not, the folks at Liggett made it a point that their workers kept working in the building as it moved. Remaking the back door as the front door ~1946. With the move of the office building, the remainder of the site was converted to surface parking. 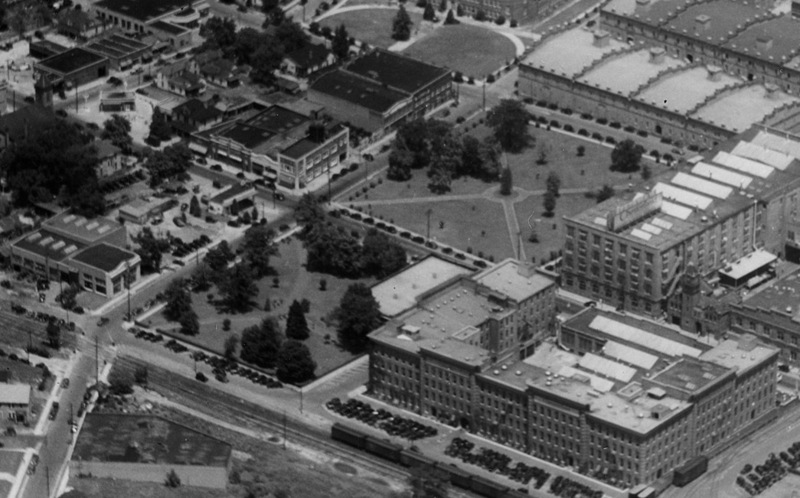 Within a few years, Liggett had constructed a research laboratory on the northeast corner of Duke and Main Sts., where the surface parking is above, which they expanded north along Duke St. over a few years time. Duke and Main Sts. (as these men are quite posed-ly admiring) with the Liggett office building in the background, 07.28.54. Even after Liggett pulled out of town, slowly over a few decades, the research building remained active with the company's Vector Research branch. 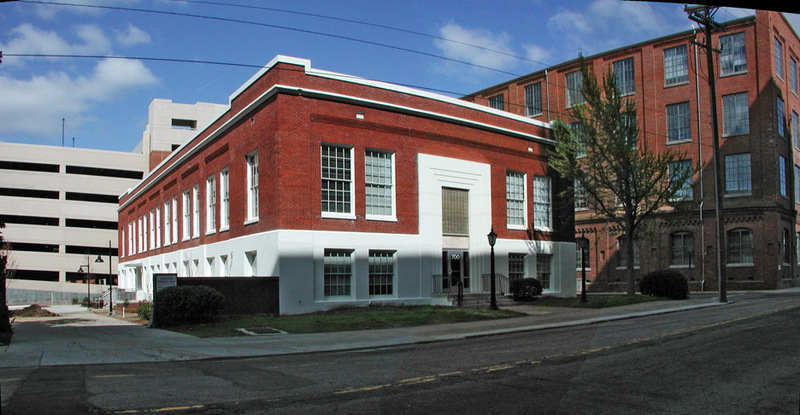 These building was acquired along with the remainder of the complex by Blue Devil Ventures for redevelopment. They've recently completed renovation of the old office building, which looks nicely redone.